Best known as the capital of Charlemagne's Frankish empire, today's Aachen sits at the juncture where Germany meets the Netherlands (the Dutch know it as Aken) and Belgium (where "Walloons" call it Aix-la-Chapelle). But Aachen's history goes back even further than 8th-century Charlemagne. Roman soldiers dating back to the 1st century AD cherished its hot springs (as did Charlemagne, who loved a good spa day just as much as the next guy). 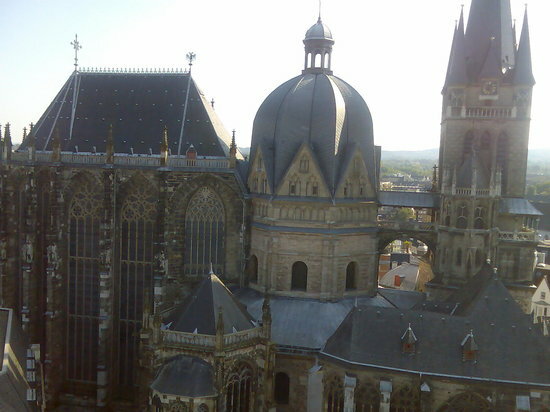 Aachen Cathedral, northern Europe's oldest and a UNESCO World Heritage Site, is the city's main attraction. Kerkrade ([ˈkɛrkraːdə] ( listen), Kerkrade dialect: Kirchroa [ˈkɪʀçʀoə̯]) is a town and a municipality in the southeast of Limburg, the southernmost province of the Netherlands.